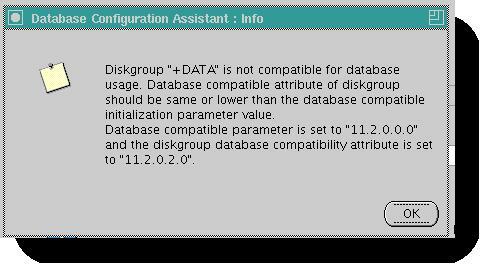 Ran into an interesting issue today; while trying to setup a database for a demo with OEM12c and ODA, I got a compatibility warning dealing with ASM. Really more of an info message but it would not allow you pass the step until fixed. So now, how do you resolve this issue?